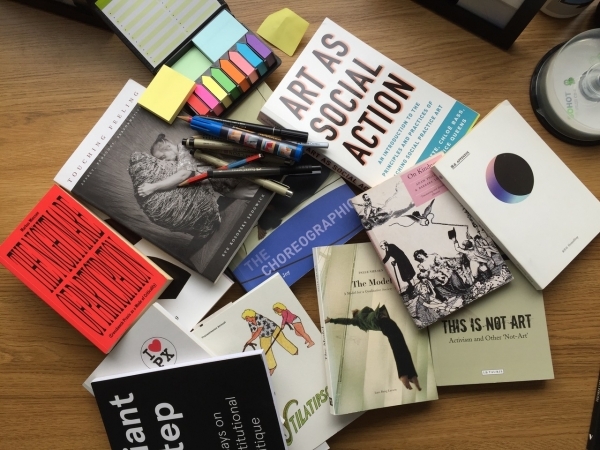 A monthly slow reading group in which we will be looking at texts related (in the broadest sense) to art and the social realm. We'll take turns to read out loud, so you don't have to come prepared. Nor do you have to read out loud if you prefer just to listen. I've just finished my PhD thesis, which described the "relational material" of socially negotiated practices and the entanglement of art, politics, and bodies. So the readings will initially come from the following places: art and political theories, feminist and queer studies, art project documentations, etc. But I'm hoping to be exposed to other areas too. More than anything, I'd like for the group to be a way of meeting new friends / staying in touch with old ones while reflecting on the state of our practices. What (and how) we read will hopefully shift depending on the conversations and interests of the group.